I've been really getting back into reading lately, and ever since reading Gone Girl (okay, I know I go on about this book a LOT in my book reviews but it's the reason I fell back in love with reading) I've been searching out thriller/dark books to read. A book I was recently sent is 'In a Dark Dark Wood' by Ruth Ware, and as soon as I read the blurb my interest was piqued. 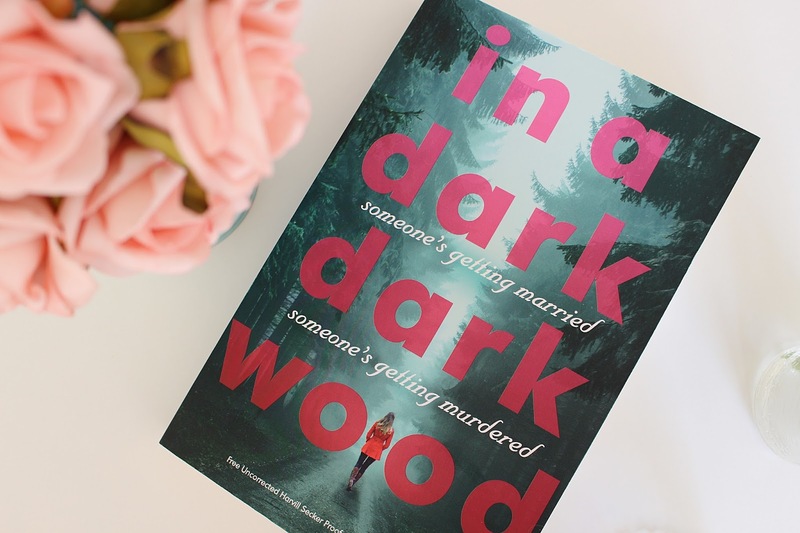 'In a Dark Dark Wood' is set around a hen party in the middle of Kielder Forest (I've been there, woo) which Nora, a crime writer, is invited to unexpectedly, after not speaking to the hen for ten years. It turns out the hen is getting married to Nora's ex, and things spiral from there. The book splits between the run up to the hen party and the aftermath, and focuses around the select few characters at the hen party. As the cover suggests, a murder occurs over the hen weekend and so you spend the majority of the book guessing who is going to be murdered and who will be doing the murdering. Whilst some of the plot is really predictable, there were some surprises and it's definitely a book that kept my interest the whole way through. Did the book blow me away? No, but as I said, it was a really easy read that kept me interested and I found myself getting it read in just a couple of days. There were things that annoyed me about some of the characters (particularly the fact that the main character still hasn't got over her childhood sweetheart, 10 years on) but overall I thought it was a good book. It would make an ideal holiday read for by the pool as it's not too dark but still dark enough to get thriller fans interested. I'm going to give it a 3/5. 'In a Dark Dark Wood' is out on the 30th July - will you be pre-ordering a copy?